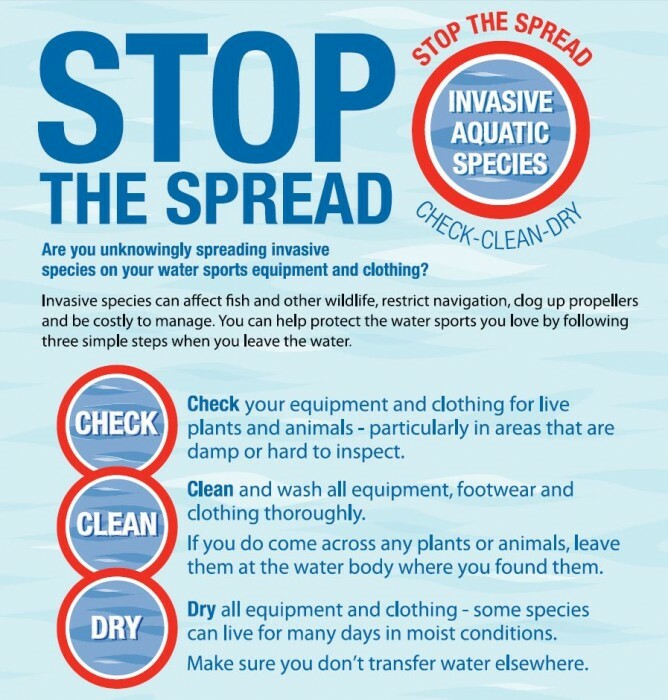 All river users are encouraged to follow the Stop The Spread (pdf) campaign which encourages everyone to Check, Clean and Dry all equipment before moving between watercourses. 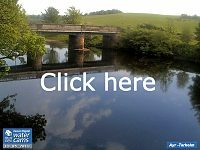 Be aware regarding the risks of introductions of high priority species such as American signal crayfish which is present in water bodies north and south of Ayrshire. Gyrodactylus salaris is a parasite which infects the skin, gills and fins of salmon, trout and some other types of fish in fresh water. It is less than half a millimetre in size, so small that it is barely visible to the naked eye. Despite this, it can cause serious damage in some strains of Atlantic salmon. salmon in the affected rivers being lost forever. Gyrodactylus salaris does not occur in UK rivers but experiments carried out in Norway have shown that our salmon, like those of Norway, are killed by the parasite. It is therefore essential that the parasite is not introduced into UK waters. Prior to arrival in the UK, anglers travelling from areas which are not designated as free of Gyrodactylus salaris, and in particular from those areas known to be infected, such as Scandinavia, should take the following precautions to ensure that their equipment is not contaminated. Immersion in a solution suitable for killing Gyrodactylus salaris for a minimum of ten minutes. Chemical solutions which have been used successfully include Virkon* (1%), Wescodyne* (1%), sodium chloride (3%), sodium hydroxide (0.2%). * these chemicals are available from agricultural chemical suppliers. The use of trade names is for illustrative purposes only and does not signify endorsement of any particular product.